• The phenom duo known as The ChainSmokers made a strong claim when they decided to produce a new track monthly, and since this announcement this past summer, they have yet to miss a beat. May begun the musical journey with the BullySongs featured track “Good Intentions” which caught fire instantly. Many great records followed like “Roses” and “Waterbed“, but this months releases hit home for a city boy like myself. Dubbed “New York City” the track is as bright as the city lights and features the feathery vocals of singer Olivia Zaro who story-tells a love being lost to another. The deceleration in the hook begs the Big Apple to handle her with care as she gives up her worries and enjoys the night. Upbeat and synth-heavy, the track resembles most of the releases by The ChainSmokers and takes focus on great vocal arrangement. The amazing house track is built for a celebration even though the lyrics don’t demand that response. Infectious and brilliant, the duo once again give fans another reason to leave trouble at home, go out and dance til their legs give way. Well at least that’s what the expectation is for participants attending their upcoming shows from their ‘FriendZone Tour‘. The Tour is sure to feature the six tracks placed on their latest Ep – Boutique. Two Tour buses take off to journey through 40+ cities across North America as The ChainSmokers enlighten your life with hit after hit. Starting off in the country music capital, Nashville will get their dose of electric-house takeover. The Matoma Full Monte stage production will accompany as the stage performance is suggested to blow minds with a 3-D visual projection. The tour travels to many cities featuring many artist such as JAHKOY, Cheat Codes, Protohype, Ansolo and many more. The ChainSmokers love their strong fan base and will be delivering new tracks monthly and visuals along the way. Stay tune. 3) Mets clinched the world series same week we are releasing this! GO METS! Tickets for Friendzone Tour can be found HERE on their Facebook page with tickets already available for each stop. If you’re digging “New York City” and the rest of Bouquet – EP, you can purchase it on iTunes HERE. For more information on the tour check out the poster below! 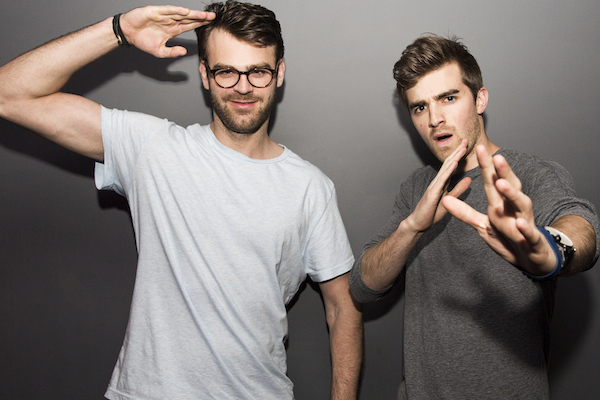 NOW ENJOY THE CHAINSMOKERS NEW TRACK ‘NEW YORK CITY’!